Bursledon has a rich and patriotic heritage, with magnificent landmarks, country and dockside vistas. The village is surrounded by history and great English scenes and views you want to make the very most of! As a result, Bursledon plantation shutters are the perfect edition to homes within this idyllic setting. Just Shutters specialise in adding style, privacy and security to any home, traditional or modern. Our window solutions are overall superior to any other; bespoke, superb quality and additionally made by experts to your exacting requirements. Our shutters come fully installed with a lifetime guarantee. So whether your home is old or new, whether your view is of ambling countryside, the docklands where Henry the Eigth’s ships were built, or the town itself, we can help you find the perfect, unique solution for your windows. Curtains can absorb smells, dust and allergens, blinds can tangle, warp and fade, shutters on the other hand are a quality, low maintenance solution that offer versatility, practicality and of course style. 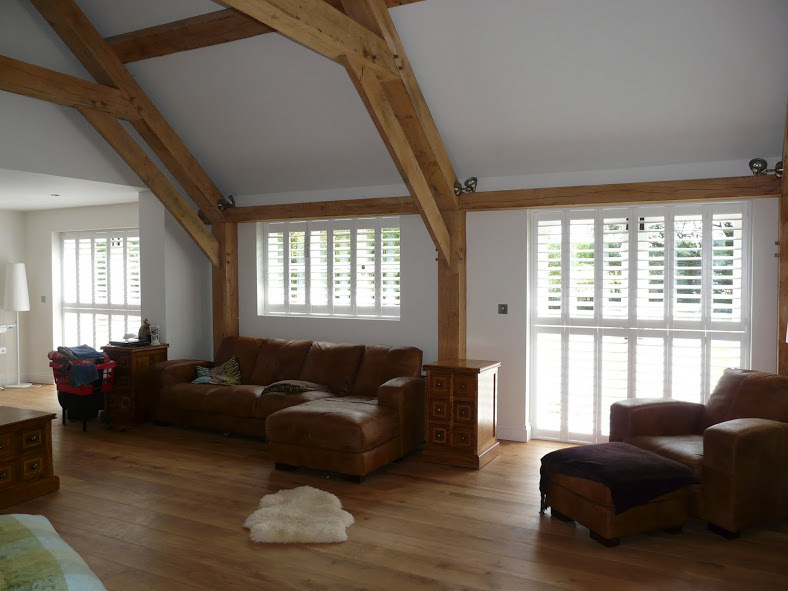 Our Bursledon plantation shutters specialist understands the area, the architecture and has a passion for shutters, a combination that gives him the understanding and customer service that will delight and ensure all your questions are answered. Please give us a call today on 01962 670157 or request our shutter brochure, or send an email, and find out what Just Shutters can do for your home. Please see our shutter pictures for inspiration.